Fundamentals: The S&P traded to 2808.50 yesterday morning and hit our major three-star resistance at 2807. The rally over the holiday weekend was on momentum alone ahead of earnings season and after a strong close to the week that saw JP Morgan gain 1.65% on Friday. As we discussed here yesterday morning, the exuberance coming into the session felt overdone. When this happens, any one thing can quickly spook the market. The looming government shutdown at the end of this week did just that. Talks in Congress hit a snag yesterday with immigration continuing to be a key argument. The S&P traded to a session low of 2769.25 before working its way back near unchanged. However, this morning the S&P is back positive on the week and news that Speaker Paul Ryan has put together a stopgap bill to keep the government open through February 16th is a key catalyst. We could see a vote tomorrow. Earnings from Bank of America and Goldman Sachs are due this morning. We also have Industrial Production data at 8:15 am CT. The Bank of Canada is expected to hike rates at 9:00 am. Fed Presidents Evans, Kaplan and Mester speak at 2:00 pm CT, 2:15 and 3:30. Technicals: Price action slipped hard yesterday but has regained footing into this morning. 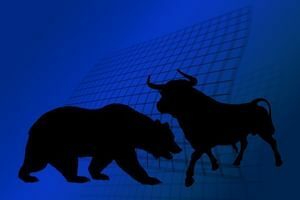 On yesterday’s Midday Market Minute, we discussed buying the first test into support at 2783.50-2788.75, which was broken. However, S2 held with a low of 2769.25 and the quick bounce back gave traders flexibility to manage a loser, limit losses or turn a profit. The tape is running into first resistance this morning at 2793.50. A continued close above 2788.75 will leave the bulls with the immediate term upper hand. A close below 2783.50 will leave the market vulnerable. We have brought major three-star support up to yesterday’s low and a close below there signals a wave lower. Briefly touching on the Russell 2000, major three-star support aligns with a trend line from mid-November and the previous all-time high at 1560-1564; a close below here will open the door to strong selling. Fundamentals: Nothing has changed on the fundamental front as traders await inventory data that begins to come into the picture later today. We discussed yesterday how this move feels overdone and should have become exhausted in an exacerbated holiday session. Brent truly achieve $70 before reversing and this seems to be enough to encourage some longs to take profits and bears to jump on board. Furthermore, with a record net-long position, anyone who wants to buy, has already bought. Today is options expiration for the February contract and this has likely had a helping hand in containing prices. Technicals: We reintroduced a Bearish Bias yesterday but remain hesitant to put more emphasis on this until a close below major three-star support. The $63 level is critical intraday but more so for the longer-term trend on the weekly close and a move below here has the potential to encourage strong waves of liquidation back down to $60. Remember, the March contract will be front month for this weekly close. Fundamentals: The Dollar continues to find some footing at the key 90 level in the Dollar Index and this will be critical for the Gold trade in the near-term. The metal retreated about 1% from its Sunday night high and now is seemingly awaiting more information. Equity markets saw short-lived pressure in the second half of yesterday which helped Gold retest its swing high. However, as stopgap budget deal could be voted on tomorrow the equity market has recovered along with the Dollar and treasuries are seeing pressure; not a great combination for Gold in the very near term. Industrial Production data is due at 8:15 am CT and Fed Presidents Evans, Kaplan and Mester speak at 2:00 pm CT, 2:15 and 3:30. Technicals: We remain unequivocally bullish Gold in the long-term. In the near term, first support at the 1327.3-1330.5 is very important and a close below here will signal a healthy pull back. We continue to watch the 1335.8 mark and want to see a continued close above there in order to leave the bulls with the near-term edge. There is only a marginal difference between R1 and S1 but after such a strong (and awesome!) rally, the net-long position and the RSI are both overdone and it becomes ever important where the metal closes in order to hold or begin to relieve strong momentum. Fundamentals: Near month prices are up strong today as next week’s storage draw estimates (for consumption this week) ballooned due to the snow that has hit the Midwest and is heading to the east coast. Cash Natural Gas is up more than $1 today, trading above $5. Fundamentals: Treasury prices stayed elevated yesterday as equity markets sold off on budget deal worries in Washington coupled with the ECB back-tracking on changing their bond-buying pledge at the meeting next week. However, this morning equity markets are back in the green and a stopgap budget deal could be voted on tomorrow. Traders want to keep an eye on Industrial Production data today at 8:15 am CT. More important to the Treasury market will be Fed speakers Evans, Kaplan and Mester ay 2:00 pm CT, 2:15 and 3:30. Chinese GDP data tonight should also be watched. Technicals: Price action could not get out above yesterday’s early morning high on the ECB news when equity markets were selling off and this worried us on a technical basis. The bears have an edge this morning and the close will be key, a close below major four-star support will give them a path of least resistance lower in the near term. We do still believe there will be a buying opportunity in the 10-year not too far down the road. However, for now, the yield curve flattener spread is working very well.